The image shows a pair of colossal stars, WR 25 and Tr16-244, located within the open cluster Trumpler 16. 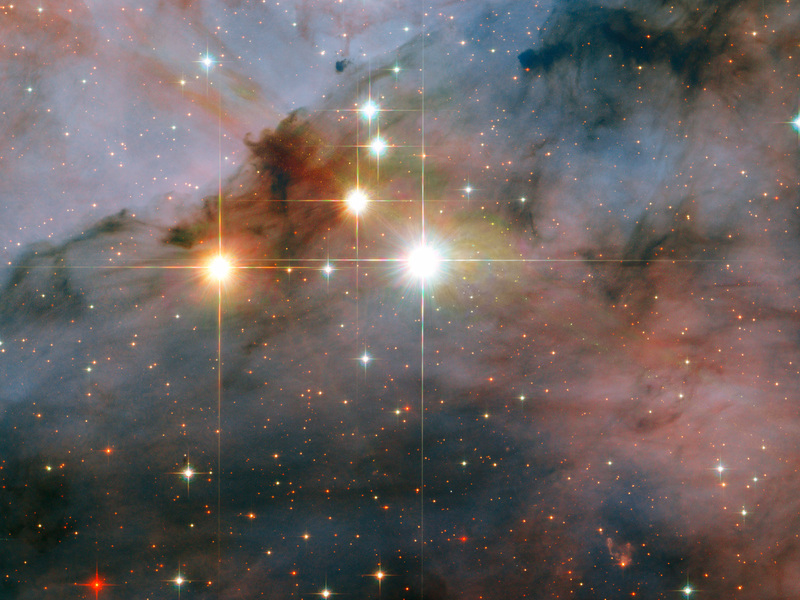 This cluster is embedded within the Carina Nebula, an immense cauldron of gas and dust that lies approximately 7500 light-years from Earth in the constellation of Carina, the Keel. 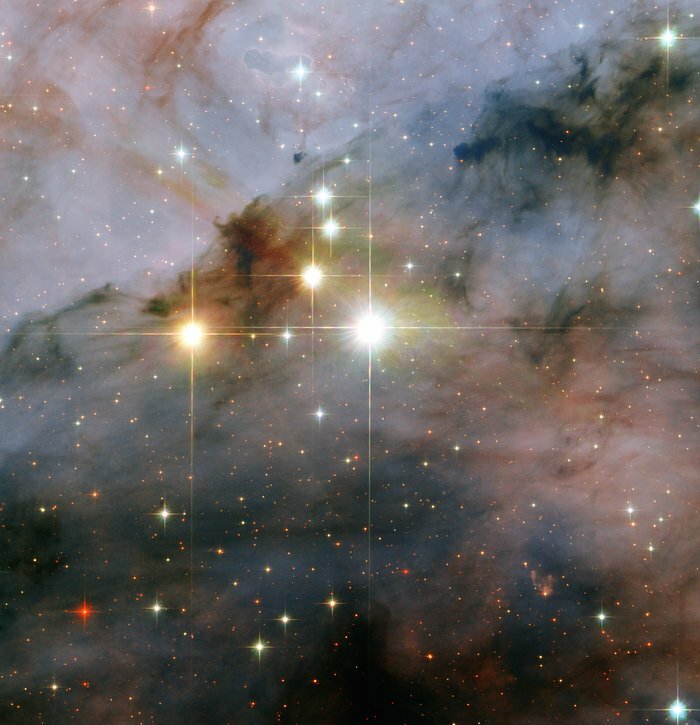 WR 25 is the brightest, situated near the centre of the image. 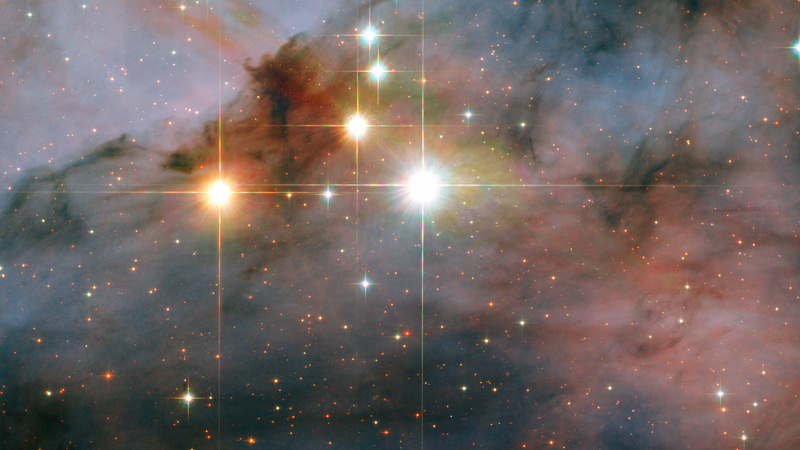 The neighbouring Tr16-244 is the third brightest, just to the upper left of WR 25. The second brightest, to the left of WR 25, is a low mass star located much closer to the Earth than the Carina Nebula. Position (Dec): -59° 43' 22.20"